Over the last 20 years, Tennessee has become known for more than its "Moonshine" and whiskey. It's becoming known for its wine. 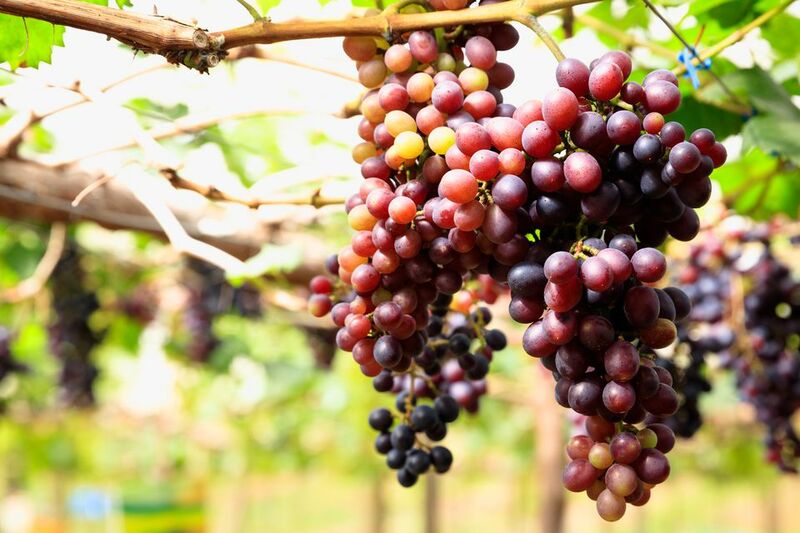 This is not the first time in history that Tennesseans have tried their hands as commercial winemakers, they got off to a grand start in the late 1800's, in fact, they made wines that won a number of gold medals at wine-tasting competitions. Their success was short-lived as prohibition came into law in 1909. When prohibition was repealed nearly 30 years later, local whiskey makers and others flourished yet the wineries failed to catch on the bandwagon. Yet, locals kept making blackberry wine and other various selections for themselves and their friends as they had since the beginnings of Tennessee time, but the commercial wineries never reappeared until another 40 years down the road, when in the 1980's they began to make a serious comeback. Today, Tennessee has over 25 wineries in operation and several are producing national and international awards. Below is the best of the best when it comes to Tennessee wine, from locations of local wineries across the state to the local events and festivities. Here is a listing of local wine events and festivals held annually in the middle Tennes see region. A Toast To Tennessee - This annual spring wine festival event, normally held in May, features free samples from Tennessee wineries selling their product by both the bottle and case. Live music all day, artisans and specialty foods, and free parking! A designated drivers discount is offered. Wine On The River - Wine on the River, the first event ever held on the Shelby Street Pedestrian Bridge, continues it's annual wine tasting festival every fall overlooking the Downtown Nashville Skyline. Wine offerings include hundreds of wines, from all around the world. Live music & specialty foods are available onsite. A designated drivers discount is offered. Wine On The WestSide - Wine Festival features over a dozen Wineries from the great State of Tennessee as well as offering plenty of food, art, music, education, and associated activities to enjoy and participate in at the Festival. Wine sampling and purchases are also available on-site. This Festival annual event is a fundraiser that supports the Bryan Symphony Orchestra and WestSide Business Association to further the Arts Culture in Cookeville along with the continued development of the Historic Westside. A designated drivers discount is offered. Wine Over Water - Wine Over Water is held in late September in Chattanooga on the Walnut Street Bridge Offerings that include wine selections from all corners of the globe. Live music & specialty foods are available onsite for purchase. Arrington Vineyard & Winery - 6211 Patton Road, Arrington. The Arrington Vineyard opened in the summer of 2007 and is located in Williamson County on 75 acres. It offers a wonderful rustic lodge that is used for events and wine tastings. Amber Falls Winery & Cellars - 794 Ridgetop Road, Hampshire. Amber Falls Winery & Cellars located in the beautiful high ridges of Middle Tennessee near the Natchez Trace Parkway, offers a variety of fine wines with a complimentary tasting in the wine cellar tasting room. Also available are pavilions for picnics or relaxing with good wine, upstairs viewing room of winery, vineyard tours, special events, a venue for weddings, meetings, reunions etc. and a charming guest cottage. Beachaven Vineyards & Winery - 1100 Dunlop Lane, Clarksville. The Beachaven Winery is located in Clarksville, home to the 101st Airborne and Fort Campbell Army Base and offers several estate-grown award-winning wines which include the local favorite Beachaven White. Beans Creek Winery - 426 Ragsdale Road, Manchester. Beans Creek Winery is located in Manchester and it's wine offerings range from dry full-bodied reds to sweet whites and fruit wines. Chateau Ross Winery - 5823 Fulton Road, Springfield. Chateau Ross is a small private winery and vineyard located in Robertson County, near the Kentucky state line. Private tours and tastings are by appointment only. Holly Ridge Winery - 486 O'Neil Road, Livingston. Holly Ridge is family owned and operated. Conveniently located in Overton County, it offers several annual events and most all include live music and plenty of food. Their annual Grape Stompin' Festival, held in early fall, is a local favorite. Holly Ridge also offers banquet facilities that cater up to 200 of your closest friends. Highland Manor - 2965 South York Highway, Jamestown. Highland Manor, located in Jamestown, is Tennessee's oldest winery. They offer several annual events including A Wine & Swine Celebration and the End of Harvest Celebration. They also offer "Unique Cellar Tours" which are free and available upon request. Their walls are filled with medals that they have been awarded over the years. Highland Manor is a must stop for wine lovers. Keg Springs - 361 Keg Springs Road, Hampshire. Keg Springs is a locally owned and operated winery and is located just off the Natchez Trace Parkway near historic Hohenwald. Keg Springs opened in 2004, making it one of Tennessee's newest Wineries. Long Hollow Winery and Vineyards - 665 Long Hollow Pike Goodlettsville. Established in 2001, Long Hollow Winery is located 15 minutes north from the Grand Ole Opry and is actually owned and operated by Grand Ole Opry Star, Stu Phillips, and his wife, Aldona. Throughout the year, Long Hollow Winery offers complimentary wine and cheese tastings, and, by appointment only, personalized tours and concerts for large groups. Wines include Shackle Island made from a local dry red wine recipe. Monteagle Winery - 827 West Main Street, Monteagle. Monteagle Winery has won over 150 state, national, and international awards over the years. It is located atop the Monteagle Mountain just outside of Chattanooga and specializes in wines made from regional grapes and other comparable fruit. The winery also offers several special events that include Music on the Mountain, art and craft exhibitions by local artisans, Monteagle Mountain Fog Festival and Vinofaire. Natchez Hills Vineyard - 109 Overhead Bridge Road, Hampshire. Natchez Hills Vineyard is located in the rolling hills of Middle Tennessee and crystal-clear waterfalls occupy the terrain surrounding Natchez Hills Vineyard. Natchez Hills Vineyard offers tours, hosts weddings, concerts, and more. They have an indoor music venue and just down the road is the Natchez Hills Bed and Breakfast which they also own. Red Barn Winery and Vineyard - 1805 Tanyard Road, Lafayette. Red Barn Winery, opened in 2000 and really was an old tobacco barn before it was transformed into what is now known as the Red Barn Winery. This is one busy Winery as they offer a wide range of events ranging from a Murder Mystery Comedy Theater (held several times a year) to catered functions for private parties that include weddings, reunions and more. Make sure to grab up a bottle of the local favorite; Tennessee Red Neck Wine on your next visit as it will always garner a laugh or two at dinner parties. Sumner Crest Winery & Vineyard - 5306 Highway 52, Portland. Sumner Crest Winery opened in 1997 and offers free events every summer ranging from live music, grape-stomping to even a car show or two. Most events are held on Saturday evening and all are family orientated. Portland is known as the Strawberry capitol of Tennessee so make sure to taste the Portland Strawberry Blush on your next visit. The Winery at Belle Meade Plantation - 5025 Harding Pike Nashville. The Winery at Belle Meade Plantation is currently the only winery in Nashville. This winery opened in 2009 and is located on the Historic Belle Meade Plantation. Tri-Star Vineyards & Winery - 168 Scales Road, Shelbyville. Tri-Star Vineyards & Winery is located in Shelbyville, home of the Annual Tennessee Walking Horse National Celebration and offers a variety of grape, muscadine, and berry wines ranging from dry to sweet and from white to deep reds.